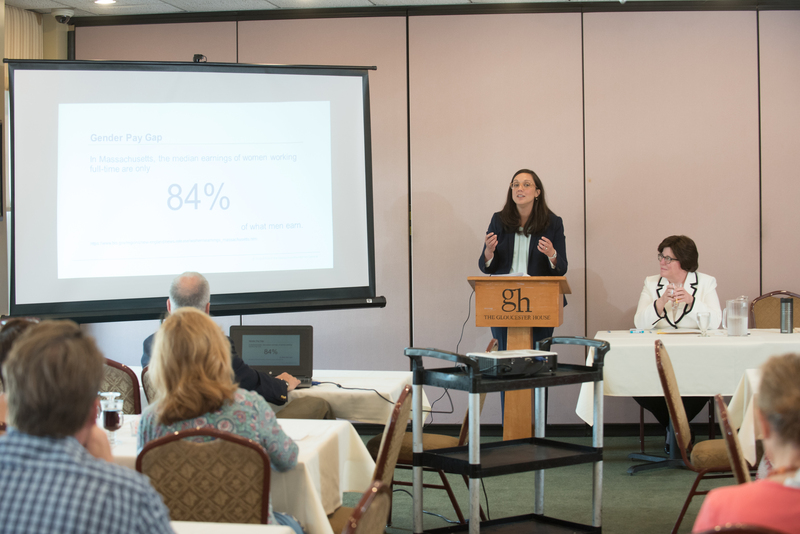 Assistant Attorney General Gabrielle Viator was the guest speaker at a recent panel discussion about the revised Equal Pay Act that went into effect July 1. Also speaking was Meredith A. 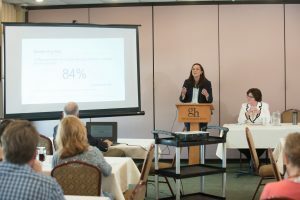 Fine, a Gloucester attorney whose practice focuses on business counseling and real estate.The morning event was co-sponsored by the Cape Ann Chamber of Commerce and Cape Ann Business Law P.C. 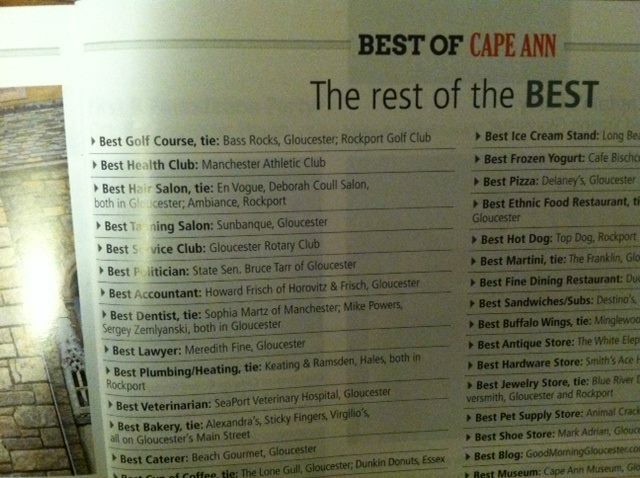 at the Gloucester House restaurant. Bill Wojtkiewicz of Delaware and his mother, June Dumas, of Centerville invited Attorney Meredith Fine to their annual family picnic on Cape Cod to celebrate Bill’s recent victory in the Middlesex Probate & Family Court. Attorney Meredith A. 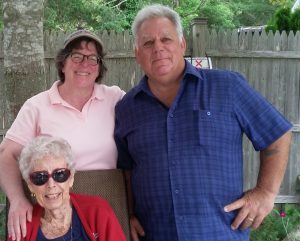 Fine of Gloucester recently won a lawsuit in the Middlesex Probate & Family Court that enabled a Delaware man to claim a share of his half-sister’s estate. The decision by Judge Maureen Monk was the first time that a Massachusetts court allowed an adult child to perform DNA testing on a deceased parent. The estate was settled before the testing was performed. State Sen. Bruce Tarr speaks at the annual meeting of the Gloucester Tourism Alliance Inc. at the Gloucester House restaurant on March 16, 2017. Attorney Meredith A. Fine is assisting the Alliance with its merger with the Seaport Gloucester DMO. “It was wonderful to see the city’s business community and elected leadership come together with the same vision and such great energy,” said Attorney Fine. The owners of two local smoke and paraphernalia shops say they’re not worried about a six-month delay in the state’s time frame for selling marijuana over the counter for recreational purposes. Meanwhile, Gloucester officials are already grappling over whether the city should wait for any new state actions or begin preparing now to regulate local pot sales. State law would allow for nine or more shops selling pot in the city. Meredith Fine, chair of the local Licensing Board, said no one has yet approached the Licensing Board to discuss the issue. “So, at this point, we haven’t had any reason to consider yet what our role would be — if any,” said Fine, a local attorney who also heads the Board of Directors for the Sawyer Free Library. Attorney Fine is quoted in this Boston Globe article about a Gloucester payroll company that failed to pay clients’ state payroll taxes. Cape Pond Ice recently posted this video on YouTube celebrating a major restructuring of the company’s finances. 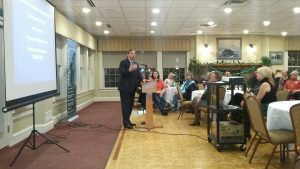 Attorney Meredith Fine played a key role in the refinancing and as mistress of ceremony for this event, which featured State Sen. Bruce Tarr, State Rep. Ann-Margaret Ferrante and Mayor Carolyn Kirk. It was a privilege to help save this historic Gloucester Harbor business. 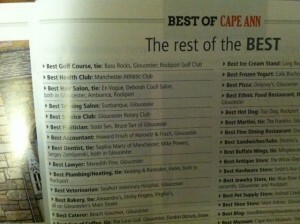 Look who was named Best Lawyer on Cape Ann by the readers of Cape Ann magazine! Don’t know the methodology they used but thanks to everyone who wrote in Meredith Fine. Attorney Fine anchored the live election night coverage from Gloucester City Hall on Nov. 3, 2015. Great job by the entire Cape Ann TV team! The new rules are designed to promote transparency and consumer choice, and to hold the parties involved in real estate closings more accountable. It remains to be seen whether these worthy goals will be realized or whether those benefits will be outweighed by the longer, more expensive loan processing system that is now in place. Cape Ann Business Law, PC provides legal services to individuals and businesses throughout Essex County, Massachusetts, and beyond. Material presented on this web site is intended for informational purposes only. It is not intended as professional advice and should not be construed as such. Any unauthorized use of the material contained here is at the user’s own risk. No attorney-client relationship is created by the use of this web site. The Cape Ann Business Law, PC discloses potentially personally-identifying and personally-identifying information only to those of its employees, contractors and affiliated organizations that (i) need to know that information in order to process it on the law firm’s behalf and (ii) that have agreed not to disclose it to others. By using this website, you consent to the transfer of such information to them. The Cape Ann Business Law, PC will not rent or sell potentially personally-identifying and personally-identifying information to anyone. Other than to its employees, contractors and affiliated organizations, as described above, the Cape Ann Business Law, PC discloses potentially personally-identifying and personally-identifying information only when required to do so by law, or when the law firm believes in good faith that disclosure is reasonably necessary to protect the property or rights of the firm, third parties, or the public at large. The Cape Ann Business Law, PC uses reasonable measures to protect against the unauthorized access, use, alteration or destruction of potentially personally-identifying and personally-identifying information.